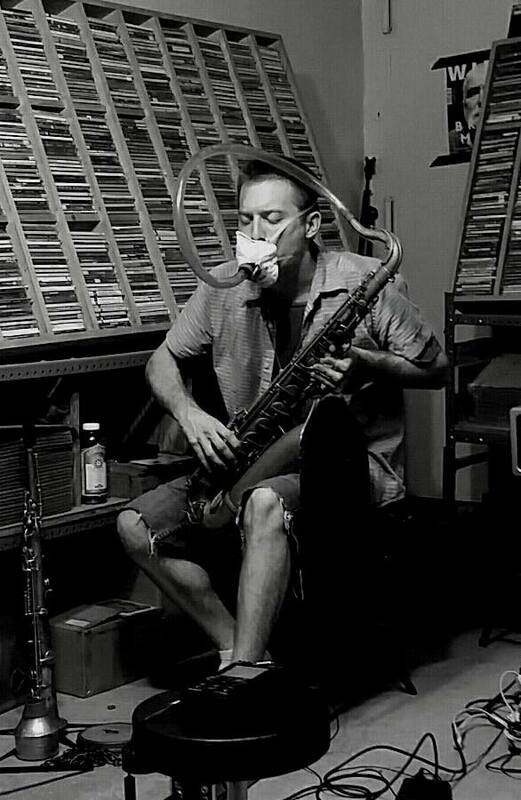 Michael Foster is a saxophonist and multi-instrumentalist working in the fields of free improvisation, noise, free jazz, graphic & video notation, performance art, and other forms of weird music. Foster utilizes extensive preparations of his saxophone, augmenting it with amplification, objects, balloons, drum heads, vibrators, tapes, and samples as a method of subverting and queering the instrument’s history and traditional roles. His current ensembles include duos with cellist Leila Bordreuil, percussionist Ben Bennett, vocalist Anais Maviel, Richard Kamerman, The Ghost (with Henry Fraser & Connor Baker), Barker Trio (with Tim Dahl, James Ilgenfritz, & Andrew Barker), While We Still Have Bodies (with Sean Ali, Ben Gerstein, & Flin van Hemmen), Weasel Walter Large Ensemble, and BDM (with Ben Bennett and David Grollman).